At Glassmaster we can offer you a full glass and glazing service. For a free, no obligation quotation and site visit please contact us now and discover just what Glassmaster can offer. We offer free, no obligation estimates, so why not contact us and discover just how competitive our rates are. 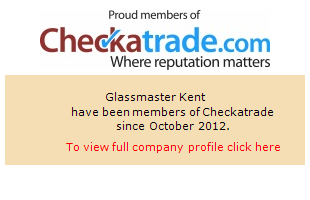 Glassmaster is a family run business offering a full glazing service to customers throughout the local area. With many years of experience in the glazing industry, Glassmaster can provide you with a full range of glazing services ranging from every day glazing or double glazing services to etched glass, stained glass, glass balustrades, custom glass tables & custom glass mirrors, replacement windows and doors, safety glass, coloured splash backs, traditional leaded lights made and repaired. We also repair uPVC window and doors. We can work with you and to your individual requirements and budgets for whatever type of glazing project you have in mind. We offer a vast range of supplying and installation services which are sure to meet your requirements. Our aim is to provide you with the service that you need at the highest level - so whether you're parting with your old single-glazed windows, or looking to enhance your property with a conservatory, we are here to help you. We offer free, no obligation estimates, so why not give us a call and discover just how competitive our rates are. Alongside our full installation services, we can also provide repairs on existing glass & glazing. Need just one window replaced? We can expertly match new glass to your existing glazing.